In the I Read/I Wrote series, authors introduce a book they loved–in the genre in which they write–and share one of their own books. Edgar finalist Robin Yocum’s A Welcome Murder is an engaging jigsaw puzzle of a novel. 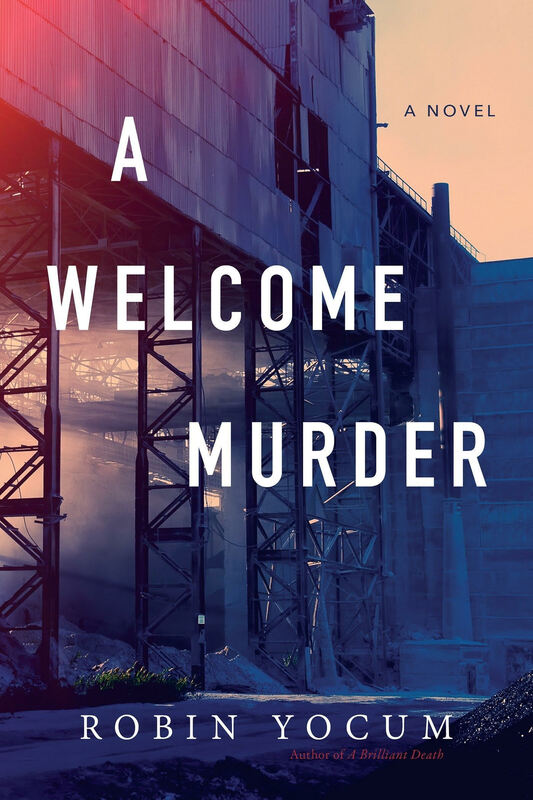 Both a satisfying mystery and hilarious romp, A Welcome Murder introduces a roguish cast of losers, sad sacks, nymphomaniacs, drug dealers, and unscrupulous politicians, all against the backdrop of decay in a once-proud Ohio steel town. The wonderful book gave me hours of enjoyment, thanks to the exceptional plotting, wordsmithing, and humor. Yocum chronicles the rise and fall of fortunes, fueled by ambition, bad behavior, and even worse decisions, with seemingly effortless skill. He paints the corners of the plate like a Cy Young Award winner, achieving a rare balance between police procedural and social farce that truly works. Rich and complex, A Welcome Murder is a joyful portrait of dreams fumbled and recovered. I’m proud of this book. I wanted to deal with a topic that still resonates today: discrimination and hatred aimed at the LBGTQ community. I wanted to shine a light on the sowbugs, silverfish, and centipedes that hide under rocks until they’re ready to spew their ignorance against those who simply want to love whom they love. Cast the First Stone was 2018 finalist for the Anthony, Lefty, and Macavity awards. February 1962: Tony Eberle has just scored his first role in a Hollywood movie, and the publisher of his hometown newspaper in upstate New York wants a profile of the local boy who’s made good. Reporter Ellie Stone is dispatched to Los Angeles for the story. But when she arrives on set to meet her subject, Tony has vanished. His agent is stumped, the director is apoplectic, and the producer, Bertram Wallis, is dead. Murdered. 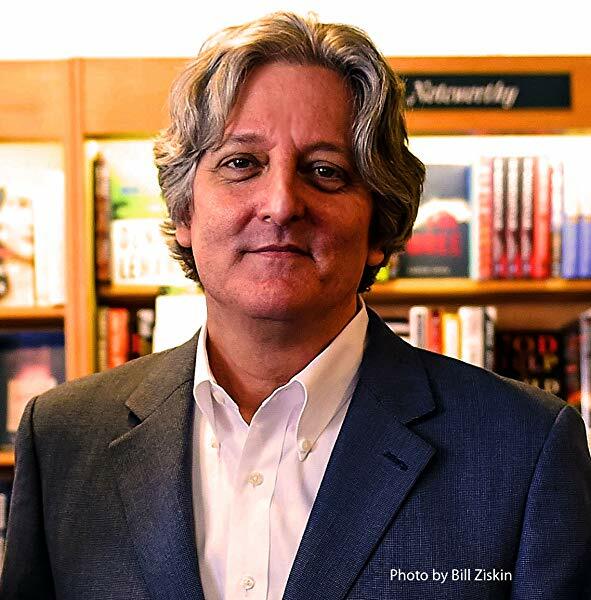 James Ziskin is the author of the Anthony® and Macavity Award-winning Ellie Stone Mysteries. His books have also been finalists for the Edgar®, Barry, and Lefty awards. A linguist by training, he studied Romance languages and literature at the University of Pennsylvania. After completing his graduate degree, he worked in New York as a photo-news producer and writer, and then as Director of NYU’s Casa Italiana. He spent fifteen years in the Hollywood post production industry, running large international operations in the subtitling/localization and visual effects fields. His international experience includes two years working and studying in France, extensive time in Italy, and more than three-and-a-half years in India. He speaks Italian and French. James lives in Boston. He is represented by William Reiss of John Hawkins and Associates, Inc. For more information, please visit jameswziskin.com. For me, choosing just one mystery book that I loved is akin to picking a favorite child. Impossible! 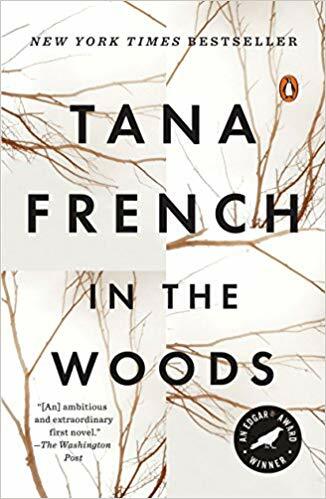 There are several books that had a significant impact on me as a writer, however, including In the Woods by Tana French. Strictly speaking, I write medical mysteries/thrillers. Not-so-strictly-speaking, I consider myself an author of traditional mystery, a genre that fits the bill for In the Woods. What made this book so compelling for me was the writer’s voice. Ms. French not only captured the musicality of the Irish accent and dialect, but also bridged the gap between literary and genre fiction with a distinctive style that kept me turning the page to discover the next beautifully-turned phrase, as well as the next plot point. The book pulled me in right from jacket copy. The premise: three children fail to return from a shadowed wood. The police find only one child, a boy wearing blood-filled sneakers, who is unable to remember anything of the terror in the trees. This boy grows into a homicide detective who must investigate a case that is remarkably similar to his own unsolved mystery, giving him a chance to untangle the case before him and resolve the past that’s haunted him. I thought so, and have re-read the book several times hoping the author’s rich, atmospheric prose will rub off on me. In the Woods isn’t Ms. French’s most popular book, nor is it her most celebrated. However, I find it one of the finest examples of how voice transcends genre and elevates craft. 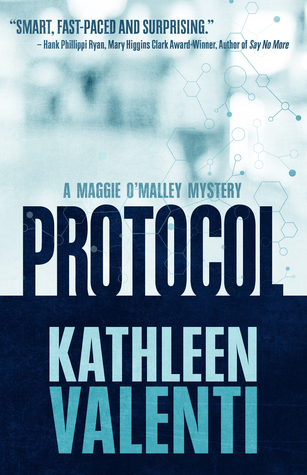 My debut mystery novel is called Protocol. 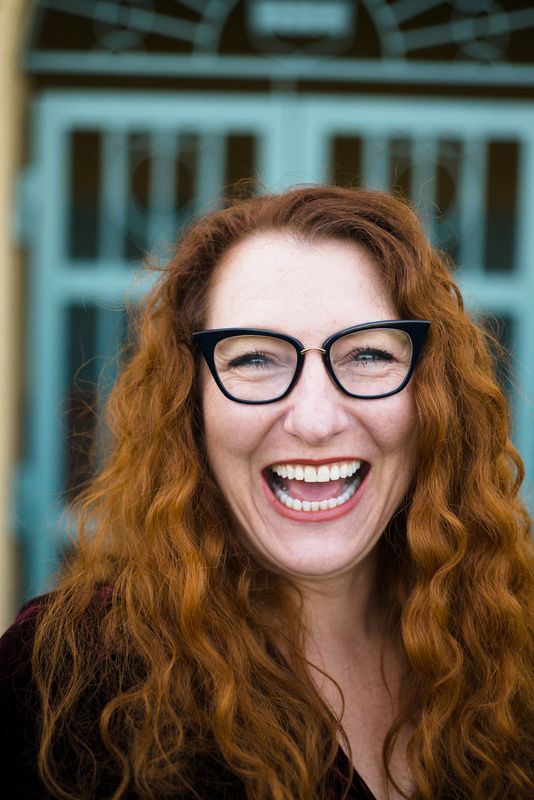 It’s about freshly minted college graduate Maggie O’Malley, who embarks on a career fueled by professional ambition and a desire to escape the past. As a pharmaceutical researcher, she’s determined to save lives from the shelter of her lab. But on her very first day she’s pulled into a world of uncertainty. Reminders appear on her phone for meetings she’s never scheduled with people she’s never met. People who end up dead. I’ve been writing for more than 20 years, first as a nationally award-winning copywriter and now as a mystery novelist. A firm believer that deadpan can be dead-on, I combine funny with frightening to craft page-turners of mystery and suspense. My debut mystery, Agatha- and Lefty-nominated Protocol, examines the flaws of technology, the price of modern medicine and the depths of greed to uncover what happens when the invisible among us disappears. In my second book, 39 Winks, my protagonist Maggie O’Malley comes to the aid of her best friend’s aunt after she discovers her husband murdered during a sleepwalking episode. I live in Oregon with my family, where I pretend to enjoy running. 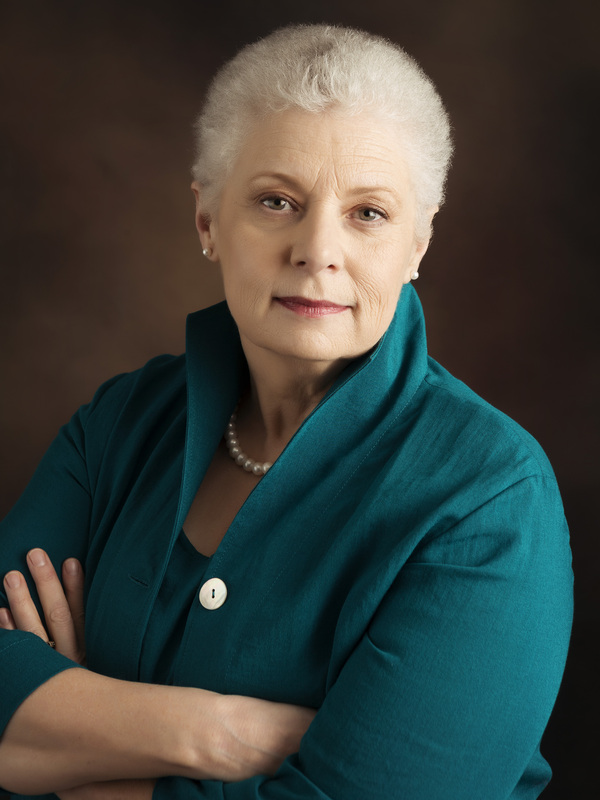 For more information, please visit www.kathleenvalenti.com. 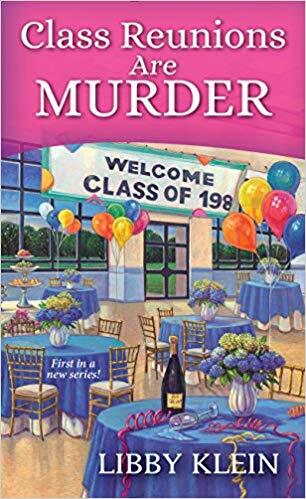 I loved Libby Klein’s funny mystery, Class Reunions Are Murder. The main character is Poppy McAllister, “newly widowed and stuck in a middle-aged funk.” She gets an invitation to her 25th high school reunion. She has no intention of attending, but thinks it’s a good excuse to go see her delightful Aunt Ginny. But Poppy gets a weird letter from the mean girl who made her life miserable all through high school, personally asking her to attend. Weirder still is when the mean girl winds up dead in front of Poppy’s old locker. Poppy really should have stayed away from that reunion. I’m a sucker for funny books and Klein had me laughing all the way through. Funny phrases, funny situations, funny characters … it’s the complete package. This is the first in the series and I can’t wait to read the rest! Fiction Can Be Murder, the first book in my Mystery Writer’s Mysteries, was published in April 2018. At least two more are scheduled, Foul Play on Words in April 2019, and Metaphor for Murder in April 2020. 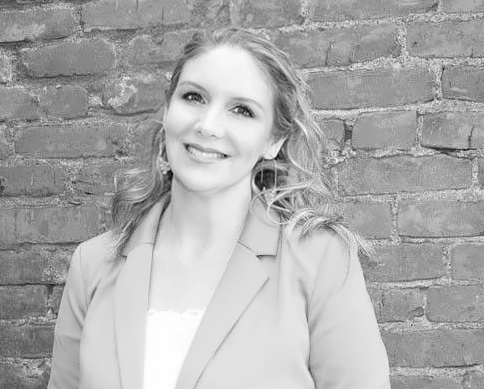 In Fiction Can Be Murder, Mystery author Charlemagne “Charlee” Russo thinks the twisty plots and peculiar murders in her books are only the products of her imagination — until her agent is found dead exactly as described in Charlee’s new, unpublished manuscript. Suspicion now swirls around her and her critique group, making her confidence drop as severely and unexpectedly as her royalty payments. The police care more about Charlee’s feeble alibi and financial problems than they do her panicky claims of innocence. To clear her name and revive her career, she must figure out which of her friends is a murderer. Easier said than done, even for an author who’s skilled at creating tidy endings for her mysteries. And as her sleuthing grows dangerous, Charlee’s imagination starts working overtime. Is she being targeted too? Becky Clark is the seventh of eight kids, which explains both her insatiable need for attention and her atrocious table manners. She likes to read funny books so it felt natural to write them too. She surrounds herself with quirky people and pets who end up as characters in her books. Readers say her books are “fast and thoroughly entertaining” with “witty humor and tight writing” and “humor laced with engaging characters” so you should “grab a cocktail and enjoy the ride.” They also say “Warning: You will laugh out loud. 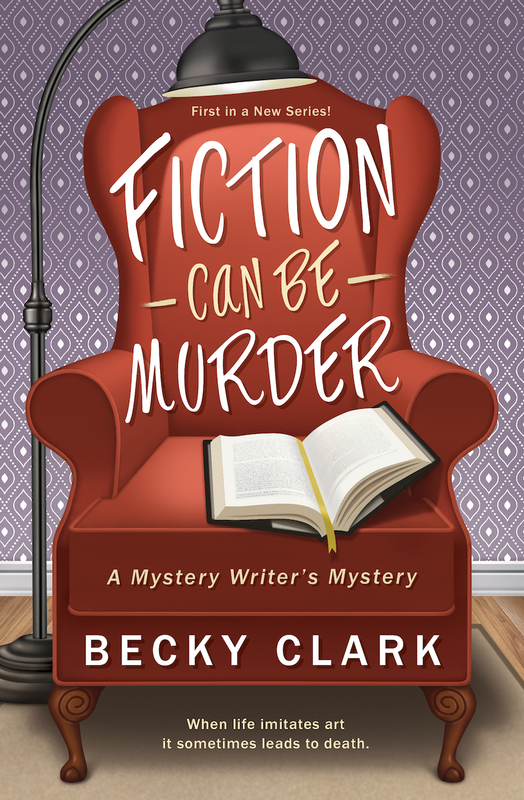 I’m not kidding,” and “If you like Janet Evanovich, you will like Becky Clark.” For more information visit BeckyClarkBooks.com. 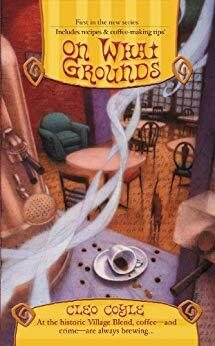 On What Grounds, first book of the Coffeehouse mysteries, was the very first cozy mystery I’d ever read. In the first installment, you meet Clare Cosi, the incredibly loveable protagonist who is heading back to New York City after ten years of suburban life. Her return is brought on by a proposal from her ex-mother-in-law who owns a coffeehouse she would like Clare to manage. To make matters interesting, Clare is unaware that her ex-husband will also play a part in the business and force them to be a part of each other’s lives once again. In my case, it was a little bit of all the above that attracted me to the genre. And with this series, the main attraction for me was coffee! The series is filled with fun facts about coffee, its production and even includes recipes! 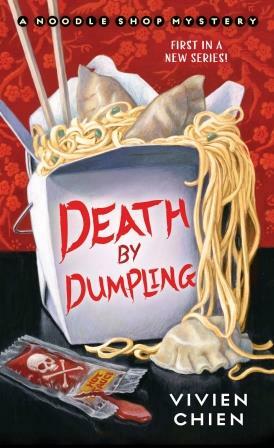 Death by Dumpling is the first book in the Noodle Shop mysteries and takes place in Cleveland, Ohio. Vivien Chien first started writing simple stories about adventures with her classmates when she was in elementary school. As she grew up, her love of books and the written word increased, leading to the attempt of her first novel at age 16. After many struggled beginnings and several different genres, she found her passion in the mystery world. 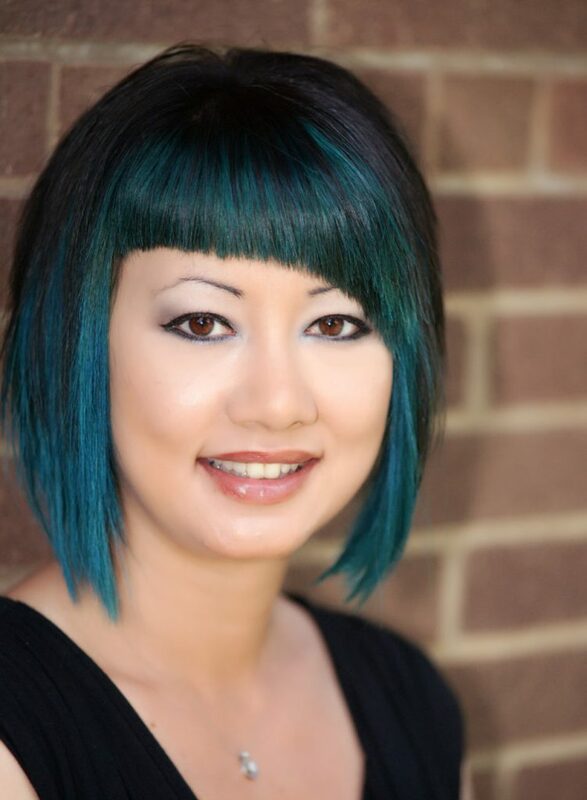 She currently lives in Cleveland where she is hard at work on the third book in her Noodle Shop series and writes side-by-side with her toy fox terrier. Sean Duffy, a Royal Irish Constabulary sergeant, is newly stationed to Carrickfergus, Northern Ireland, during “The Troubles.” A Catholic, he defied societal norms by joining the police and then purchasing a council house in a Protestant neighborhood. Duffy uses humor to establish his position in the male-only force. Amusing his comrades, he wittily retorts in response to one constable’s prejudice. To his superior, he plays the wise-cracking jester. Yet, he is no fool, clearly intelligent, knowledgeable and comfortable with command as he sets about solving a murder mystery. What I love about Duffy is that he, in his own small way, is affecting a one-man solution to sectarian violence. He never stoops to join the conflict. Instead, he makes friends with Protestants he meets impressing them with his sincerity. As Maeve works to maintain her sobriety, she and her investigator Tom Sinclair search for answers in homeless camps, roadside bars, and biker gang hangouts. When they uncover more than a few people with motives all their own for wanting the victim dead, they are determined to prove their client’s innocence before he is sentenced to a life behind bars for a crime he swears he didn’t commit. When Maeve and Tom discover there may be a link to an unusually high number of deaths among the homeless community, the search is on for a killer hunting among the most vulnerable members of society. My first publication were illustrations in Dungeons and Dragons, when still in high school. Art seemed an impractical pursuit (not an heiress, didn’t have disposition to marry well, hated teaching), so I went to law school instead. Right after graduation, I moved to Alaska. Earlier in my career, I defended criminal cases, including murder, for several years. I still practice law in Anchorage, Alaska. In 2009, there was a string of homeless death which the Medical Examiner had ruled were the result of “natural causes.” While attending a seminar, I learned of a little-known law that permits the ME to rule natural causes without autopsy. 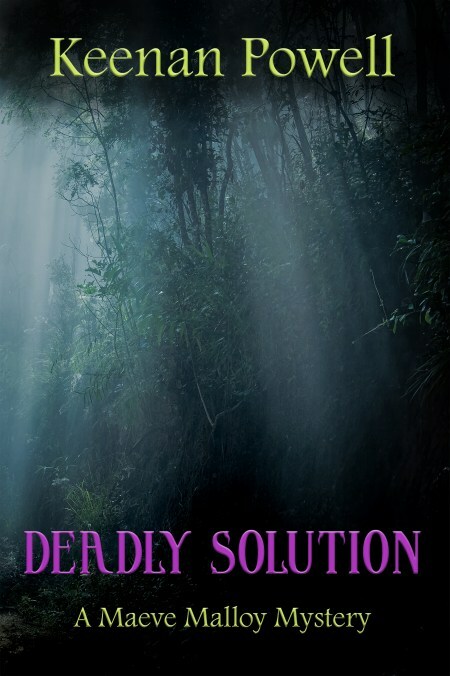 These deaths and this loophole were the inspiration of my debut, Deadly Solution, published by Level Best Books in 2018. For more information, please visit keenanpowellauthor.com. 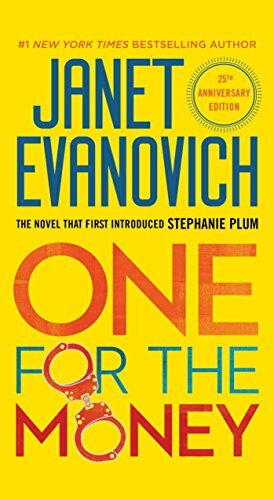 One for the Money by Janet Evanovich introduced the world to my favorite Jersey Girl, Stephanie Plum. Stephanie is an out-of-work lingerie buyer who blackmailer her cousin into letting her become a bounty hunter. Her first assignment? A cop who also took her virginity. 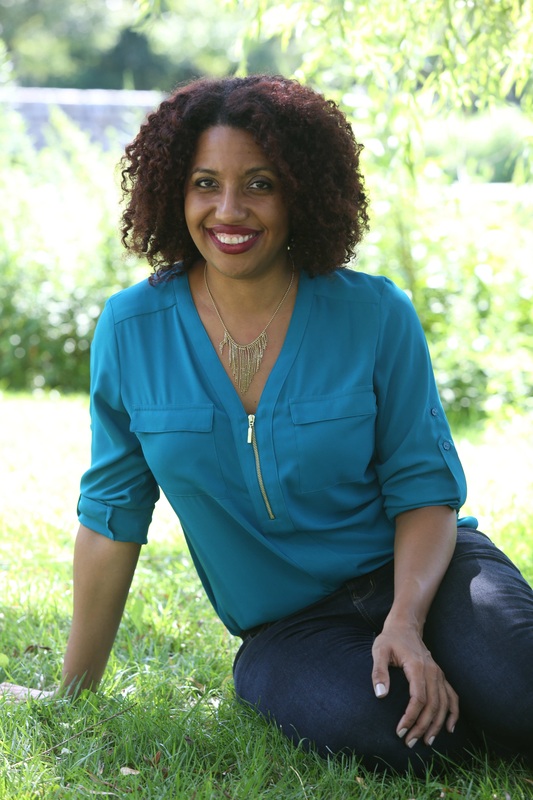 Kellye Garrett writes the Detective by Day mysteries about a semi-famous, mega-broke black actress who takes on the deadliest role of her life: Homicide Detective. The first, Hollywood Homicide, won the Agatha, Anthony, Lefty, and Independent Publisher “IPPY” awards for best first novel. 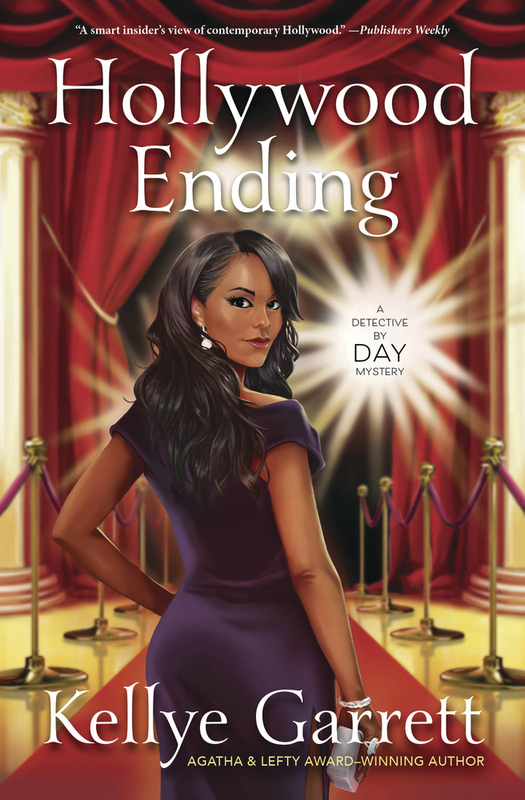 The second, Hollywood Ending, was released on August 8, 2018 from Midnight Ink. 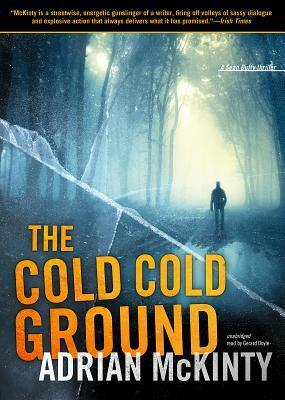 Prior to writing novels, Kellye spent eight years working in Hollywood, including a stint writing for Cold Case. She now works for a leading media company and serves on the Board of Directors for Sisters in Crime as the organization’s Publicity Liaison. You can learn more at KellyeGarrett.com and ChicksontheCase.com. I stumbled on Elizabeth Peter’s Amelia Peabody series by randomly downloading titles from the Denver Public Library. These books have it all–intrigue, fine prose, romance, a rich historical setting, and, above all, hilarity. My husband and I giggled all the way through them. The books are set in late 19th century Egypt and feature Peabody, an eccentric English Egyptologist, and her beast of a love interest, Dr. Emerson. 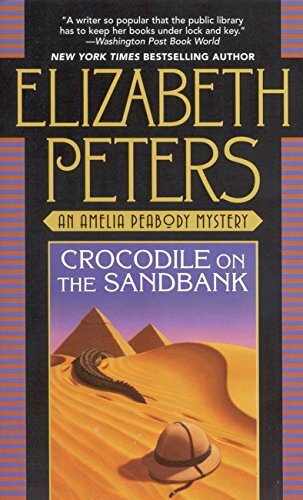 The author herself was an Egyptologist so her world building is vivid and accurate. Crocodile on the Sandbank comes first in the series, but you can read the books out of order. I devoured these books before it ever occurred to me that I could write novels, and they were the strongest literary influence on my own mystery series. I highly recommend the audiobooks narrated by Barbara Rosenblat. It’s 1907 Los Angeles. 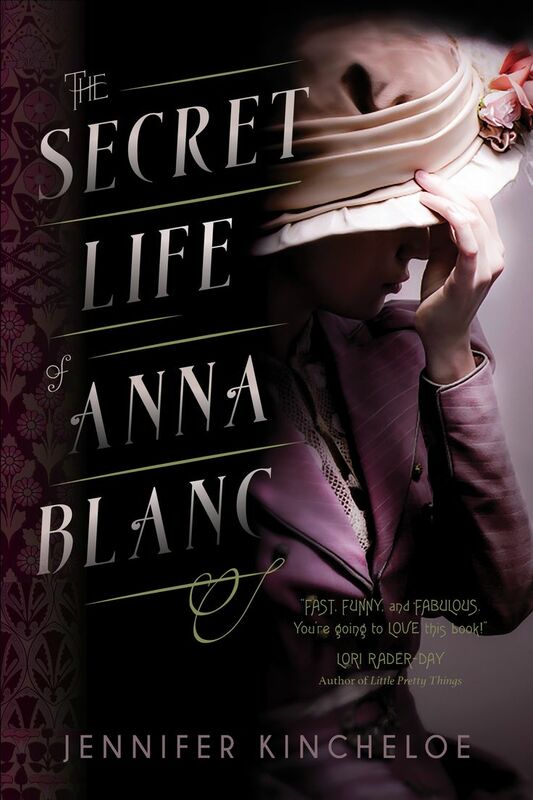 Mischievous socialite Anna Blanc is the kind of young woman who devours purloined crime novels–but must disguise them behind covers of more lady-like reading. She could match wits with Sherlock Holmes, but in her world women are not allowed to hunt criminals. If the police find out, she’ll get fired; if her father finds out, he’ll disown her; and if her fiancé finds out, he’ll cancel the wedding and stop pouring money into her father’s collapsing bank. Anna must choose–either hunt the villain and risk losing her father, fiancé, and wealth, or abandon her dream and leave the killer on the loose. 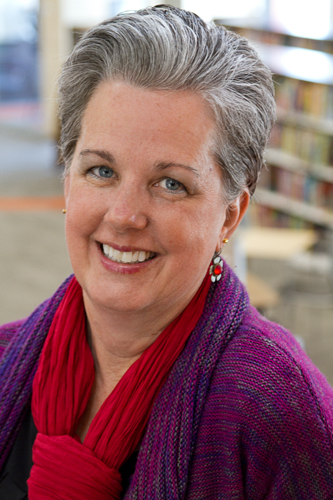 Jennifer Kincheloe is a research scientist and writer of historical mysteries. Her novels take place in 1900s Los Angeles among the police matrons of the LAPD and combine, mystery, history, humor, and romance. Her books have won or been finalists in multiple awards including the Lefty Awards, the Macavity Awards, the Colorado Author’s League Awards, the Amazon Breakthrough Novel Award for Mystery, the Mystery and Mayhem Awards, and the Colorado Gold. She lives in Denver Colorado with her husband and two kids. There she writes books and studies the jails. For more information, please visit jenniferkincheloe.com.